This is great stuff David!! 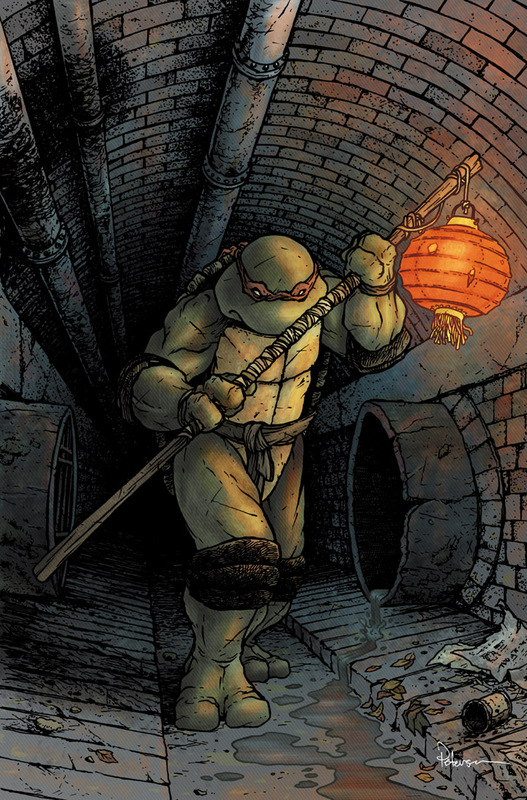 Sounds like your optimal Donatello is a lot like mine. I like him fixing cars and water heaters and jury-rigging useful tools, but building hovercraft and hacking into Foot HQ? No thanks. Love the atmosphere in this one - I think you nailed that lonely feeling. 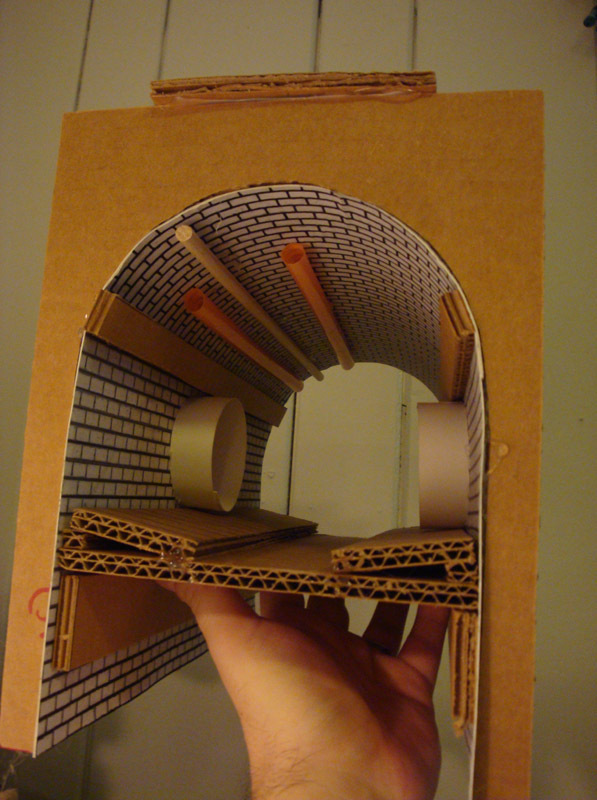 That is the smartest idea, making a mock-up of the sewer for the shot you wanted! I've SO been thinking that's the thing to do for a while now! Bravo, sir! Wow, super cool illustration. The glowing lantern light is particularly gorgeous. One question, I notice the final illustration has a series of faint lines going at a diagonal across it (kinda like a zipatone almost) which color shift along with the image. Is that just an overlay of some sort? It seems like a really effective way to help break up any flat areas of color. I've seen some comments elsewhere online that I perhaps wasted my time with the model since the background is straightforward 1 point perspective and implied that I perhaps don't know it. I was mostly worried about the concentric circles that form the brick pattern on the vaulted ceiling. While I know how to draw circles vanishing in 2 point perspective, I didn't want to take the time or draw up the mess that it takes to get there (draw squares going back into space and then fit a circle inside each one). 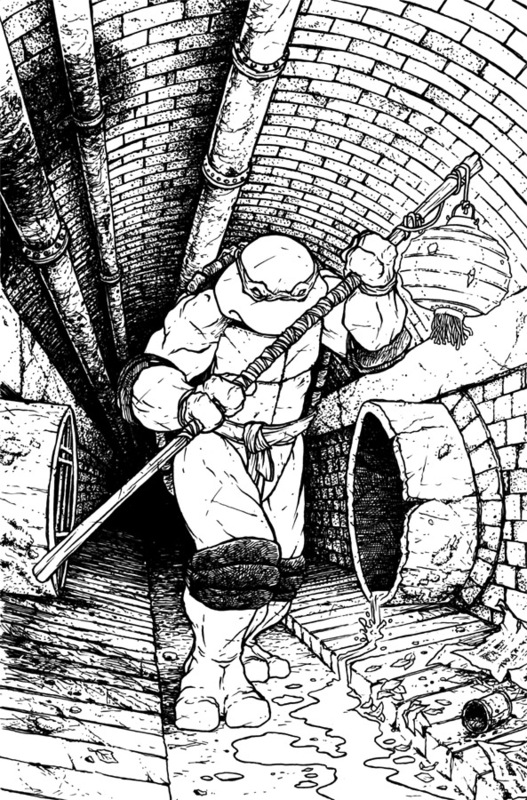 Also the model allowed me to look at the sewer from several angles for me to visualize what looked best with the figure I drew. 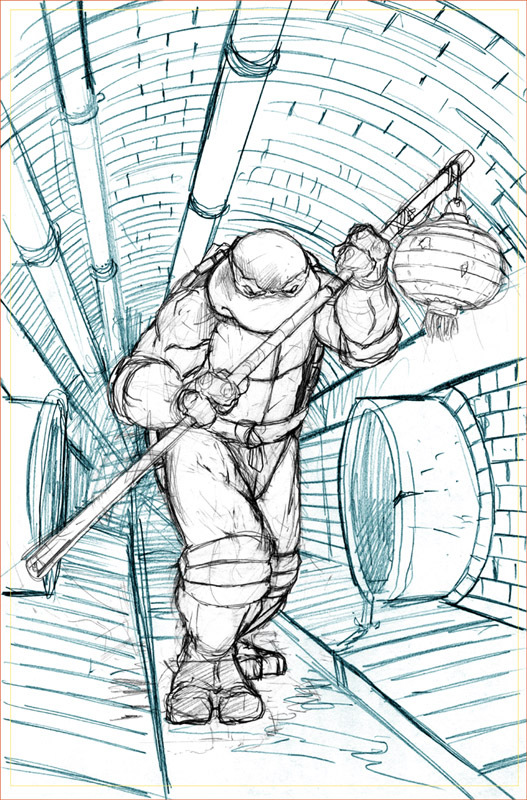 Where if I drew the background and then decided I might prefer it with the sewer angling back this way or that way or with more of a tilt to the 'camera', I'd have to redraw the whole thing. Casey: The zipatone look is a layer set above the color layers that is set to multiply. The layer itself is a merged copy of my color layers imported into a new bitmaped file with the setting for interpreting the greys on halftone screen-->line. 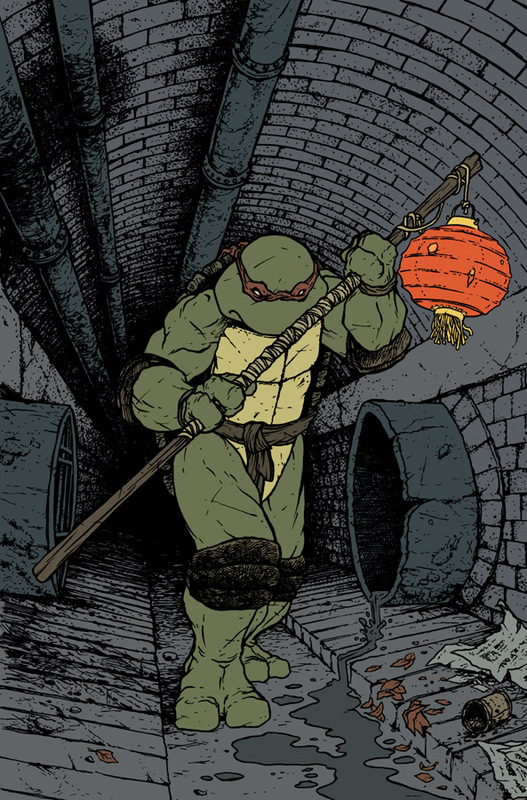 I then copy that bitmap and paste it into the color file lightening the black lines until they are a grey that when set to multiply adds a nice texture which emulates the nostalgia of the zipatone that the original B&W TMNT comics had. Right on! Thanks for the info David. Very clever and the end results are great; it really gives the piece a nice sense of texture along with the excellent, subtle color variations.